i think sampling different ice-cream flavours is one of the requirements of traveling in a hot country. 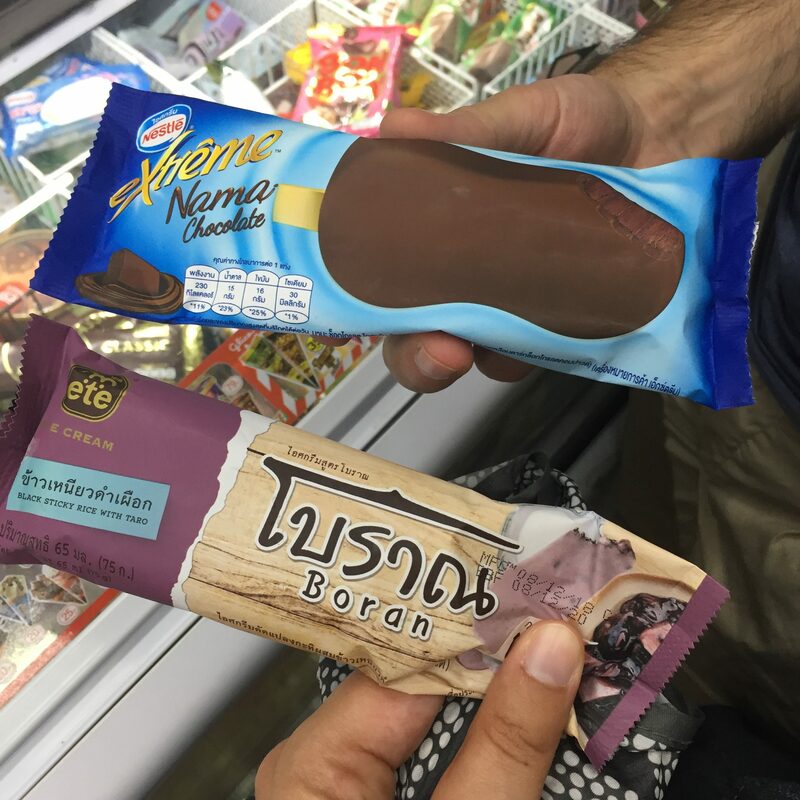 there were lots of them to try in thailand, so of course we had to test them all. for science! the trio above was a mixed bag. taro is okayish, its squashy/jelly bits are definitely fun to bite into, but i found the flavour a bit underwhelming. 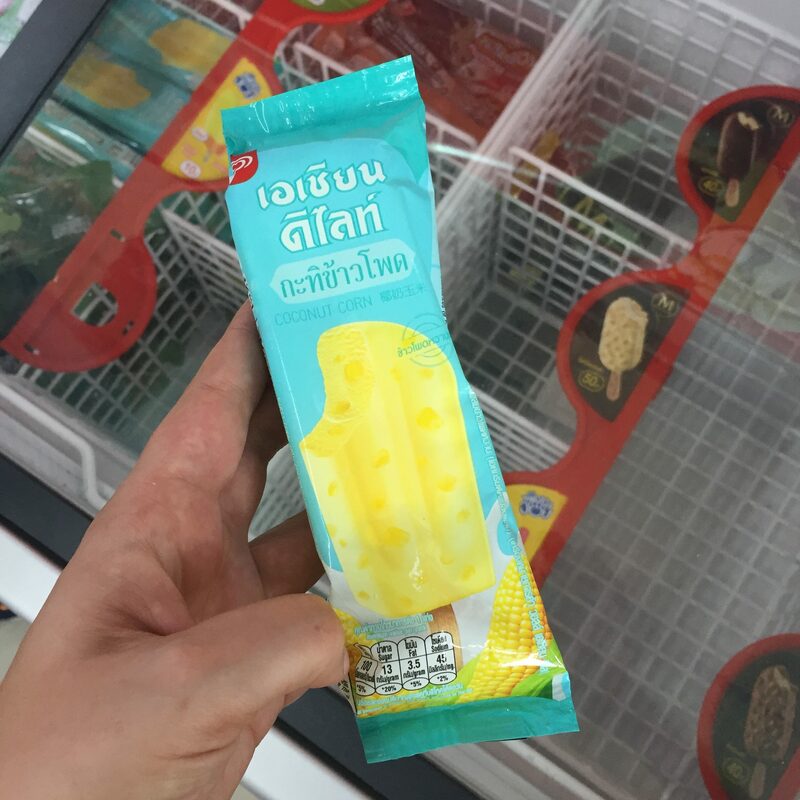 durian is… well, durian. “tastes like fruity onions”, said our friend G who complained that he still had the flavour in his mouth hours later! if this had been jackfruit instead, i would have been all over that. and the unicornetto was a thing of beauty. i had no idea this thing even existed in the world, but what a brilliant stroke of marketing! 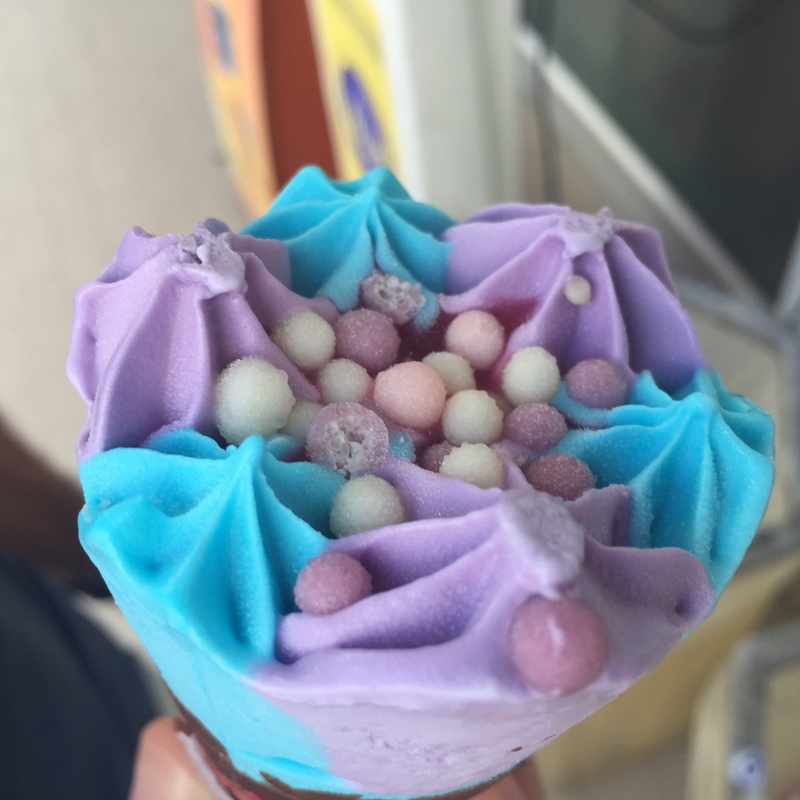 the boy wasn’t impressed with the flavour, but who cares about that when an ice-cream is (probably) made of unicorns and looks like this? moving on, one boring ice-cream on top, and one more exciting “black sticky rice with taro” option below, which was great. they put bits of chewy black rice on it, that popped up as you made your way through the ice-cream. i approve! My friend from Indonesia doesn’t understand how we can live without durian in our lives. I have never tried it. Actually, I have never seen it in person. 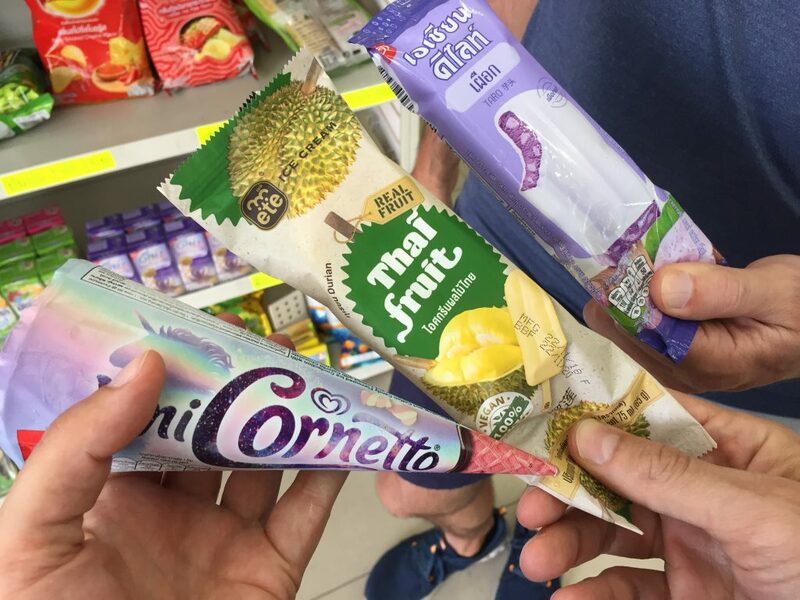 The unicorn Cornetto is… is a thing!